Are you creating black money unwittingly? A something-for-everyone Budget or an epoch-making one à la 1991? 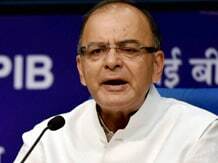 On Saturday, when Finance Minister Arun Jaitley presents his second Budget, he is likely to re-introduce infrastructure bonds that were introduced in the Budget 2010. You can also expect him to hike medical reimbursement limit to Rs 50,000 from the existing Rs 15,000. Two days away from the Budget, Business Standard did a survey of top tax consultancies including the big four – KPMG, PwC, Ernst & Young and Deloitte. We asked the top officials to name the sops finance minister will give in the upcoming Budget. Re-introduction of infra bonds and hike in medical reimbursement were the top choices. The reason: infra bonds will help to boost one of Prime Minister Narendra Modi’s pet scheme - Make in India. “For this programme’s success, better infrastructure is the key. This is the best way the government can mobilise funds without hurting its revenues,” said a partner with one of the tax consultancy. Infra bonds, first introduced in the 2010 Budget, were eligible for income deduction under Section 80 CCF of the Income-Tax Act. This time, the deduction limit would be raised to Rs 50,000. Tax executives believe that to keep up with the rising medical costs and its promise of better health care facilities, Modi government will hike the medical reimbursement limit. “This limit was also suggested in the Direct Tax code,” said an official. All the respondents said that there won’t be any big bang reforms on the personal taxation front as the government wouldn’t like to lose revenue. However, half of them feel that after the Delhi election loss, there would be a populist move. Jaitley is likely to hike the tax exemption limit by Rs 25,000. The new limit will be Rs 2.75 lakh for non-senior citizens. Keeping in line with 'housing for all' promise, the government is likely to bring back tax sops for first time property buyers. Former Finance Minster P Chidambaram had introduced this benefit in Budget of 2013 under Section 80EE of Income-tax Act. To be eligible for this benefit, the property price should not be over Rs 40 lakh and loan amount should be below Rs 25 lakh. Individual taxpayers were allowed to avail this benefit for two assessment years - 2014-15 and 2015-16. This will also give a fillip to the real estate sector that is in doldrums. One of the tax consultants strongly believe that a Swachh Bharat cess at 0.05 per cent is on the cards which can either be for individuals in the higher income group or will be levied on the service tax.